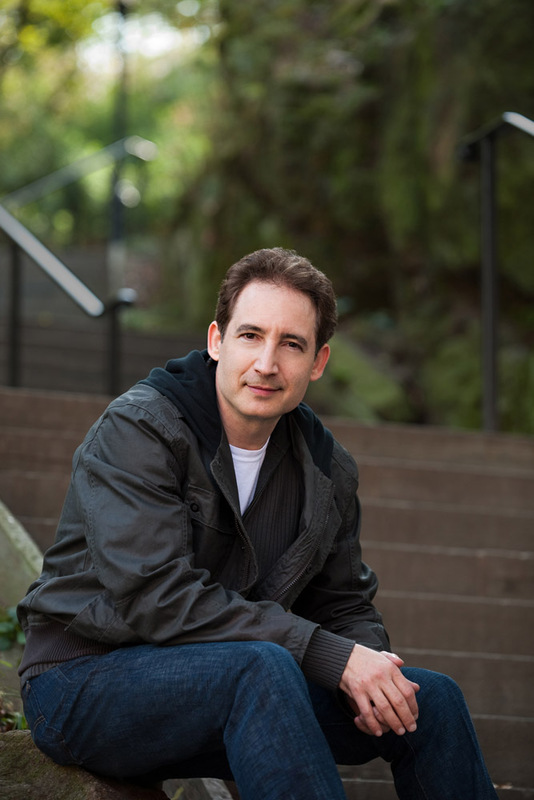 Brian Greene is “the single best explainer of abstruse concepts in the world today,” according to the Washington Post. He is the co-director of the Center for Strings, Cosmology and Astroparticle Physics at Columbia University. In his latest book “The hidden reality,” he brings the reader on a journey through the parallel universes of the string theory landscape, whose research has been pioneered by Michael Douglas, a faculty member of the SCGP. String theory was invented forty years ago in an attempt to describe the strong interactions. It didn’t quite work back then, but we recently realized that it may work now, albeit in a completely different fashion. What changed in the last four decades? A lot has changed. In the 1980s, string theory migrated from a theory of strong interactions to a theory of all interactions, including gravity. And then in the 1990s and through today, we’ve realized that certain versions of string theory appear to be gauge theories (the very type of theory we use to describe strong interactions) in disguise. And the disguise is a good one, in that research has shown that string theory on one geometrical spacetime can be isomorphic to particular gauge theories defined on different spacetimes – something highly non-obvious and non-trivial. Along the way, string theory gradually gained the status of “theory of everything.” What is the meaning of this catchword, and how successful has it been so far? “Everything” here means all forces of nature and all matter. On paper, string theory has shown that it has the capacity to describe the known forces of nature and matter. But to date the theory has not made definitive predictions that would allow for experimental adjudication. So the jury is still out. The Large Hadron Collider in Geneva is up and running and is already delivering a huge amount of new data. Its job is to discover the mechanism underlying electroweak symmetry breaking. String theorists’ favorite explanation is supersymmetry. But what if LHC does not find any low energy supersymmetry? For a few decades, many theorists – including me – have anticipated that the LHC would find low energy supersymmetry. If this hope is borne out, it would be another wonderful confirmation of the ability of mathematics to lead us to fundamental truths. If low energy supersymmetry is not found, it would not rule out string theory or invalidate all research that has made use of supersymmetry. It could simply mean that supersymmetry is only apparent in nature at scales beyond those the LHC can reach. Certainly, though, we’d all be a lot happier if low energy supersymmetry is found. In recent years, mathematicians came to love string theory (the Simons Center is a shiny testimony to this love affair), but it has become more and more controversial among particle physicists. Is string theory jumping ships? String theory has long tentacles that reach into many areas – particle physics and mathematics being two prominent ones. The mathematical contributions of string theory are particularly impressive and also unassailable, as such contributions are independent of experimental verification of the theory. The best way to look at it is that string theory is a rich discipline whose full import can only be assessed by considering a broad range of fields to which it has contributed. Let us talk about your outreach activity to the general public. Has the contact with the public influenced your research in any way? To some degree. My shift in the last few years to cosmological questions definitely grew out of thinking that was stimulated while writing my second book, The Fabric of the Cosmos. Your first book, The Elegant Universe, was an instant success, followed by many others. Suddenly, string theory became part of the pop culture. Parallel to this surge in popular recognition, though, the job market for string theorists plummeted to the dramatic point that there are no tenure-track jobs in the US this year. What is your take on this strange phenomenon? I’m careful in my books and public statements to make clear that string theory is very much a work in progress, an exciting proposal whose relevance to observable physics has yet to be established. I’m glad that many in the general public have found the ideas of string theory captivating – I surely do. There is something inherently interesting about big theoretical ideas at the very edge of understanding. At the same time, the wonderful rise of the LHC has rightly attracted many physics departments to focus attention and jobs on more phenomenological areas. That makes good sense, at least for now. In the long run, the health of string theory will hinge on its ability to make contact with observable physics. The work establishing connections between string theory and Relativisti Heavy Ion Collider in Brookhaven is quite exciting, and I’m hopeful that more connections to real world physics will be forged in the future.